Forgive & Appreciate Your Way Back to Happiness! Don’t tell me how many battles you’ve won, tell me how many people you’ve forgiven! I’m not sure who wrote this quote but I read it recently and it resonated with me immediately. My first thought was “Yes, that’s it exactly!” and the next thought was to wonder how many people are afflicted daily by the emotional prison that they trap themselves in as a result of not being able to embrace forgiveness. Of course this isn’t to say that your emotional hurt is invalid but rather that it’s not necessary or fair to your inner spirit to carry it around with you like the badge of horror it can be. When you are unable to cross the line into forgiveness it doesn’t affect anyone as much as it does you. I think many people have a variety of reasons for holding on to a painful memory and while I’m sure the reason is valid it doesn’t mean it’s not having a negative effect on your life. It doesn’t mean the person you hold it against is being impacted in any way whatsoever and it doesn’t mean that by holding onto it that eventually retribution will come. Easier said than done, believe me I know! When someone hurts you deeply it’s not just the emotional pain of the hurt but the emotional attachment you have to the person that has hurt you. People you don’t have any attachment to can’t hurt you so much because they lack that personal connection. Those closest to you know where your soft spots of vulnerability are and you know theirs but it is because of a mutual trust that neither of you intentionally try to use them against each other. It is when trust is broken that hurt happens and that hurt can carry you into the mode of defense which raises your guard. The only thing that lowers that guard is honest and open communication and the willingness for resolve but sometimes that’s not an available option. So what do you do with all these feelings of hurt when there is no option for closure on the horizon? I’m sure everyone (including myself) has asked these questions “how could you do this to me?”, and “why don’t you care?”, “how can you just go on in your life like nothing about this mattered?” Most often there is some sort of falling out or ending and if it’s the latter then I don’t think it’s likely you’re going to find the answers you would like for closure and without closure how do you let go and move on? I’ve found that distance from a difficult experience, a break or mental vacation from it can be a temporary enough solution to help you put some space between your hurt and your emotions so you can find the positives from it, there are always positives, you just have to want to see them. Sometimes it may be a while until you see the wisdom behind the experience but eventually that “aha” moment peaks when you least expect it but when most open to it. If you aren’t able to have that space to heal I believe it just means that your healing will take a little longer. Dedication, understanding and compassion toward yourself for the extra time it may take is the kindness you need to extend to yourself until you get there. Being able to step outside of an experience long enough to gain clarity is the best path to understanding the “true lesson” behind the experience.Appreciation even in the face of difficulty will build inner strength and character, it has to right? I mean what else could come from hurt, disappointment and mental anguish except to get back up, dust yourself off and become the stronger person you were meant to be? It’s been said that when you don’t learn from an experience it keeps coming back around until you do, so if you have to go through it then best to only have to go through it once. Step back and really examine so you can find what it is that you are to take with you and learn. Why put yourself through it more than you have to, your experiences are not meant to break you, they are meant to build you. As hard as it is to foresee the road ahead it is only through having appreciation for all experiences (positive or negative) that you will begin to cultivate happiness. Start with the smaller successes and after a while you will see that those successes will multiply and begin to shape a brighter, happier and more positive future. 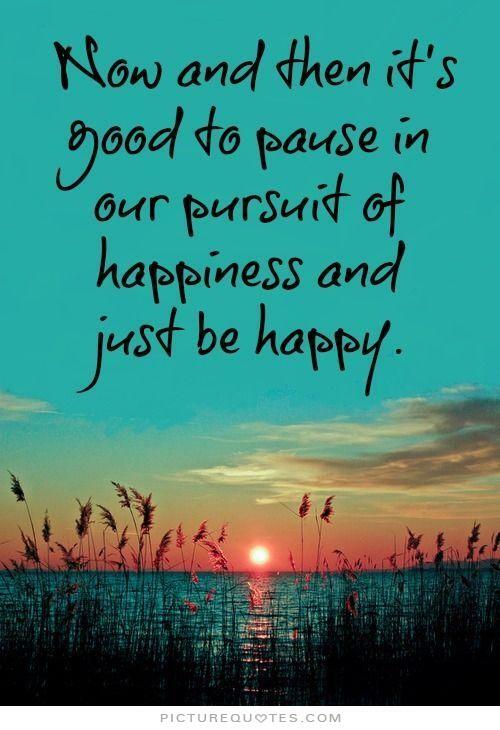 It doesn’t get any clearer than that and where are you at with your own happiness? Happiness isn’t just for other people who seem like they have it all together. Happiness is a state of being, a state that you can access at any time, a state that doesn’t discriminate or align with only the lucky ones. If another has done you wrong, mistreated you, taken you for granted or overreacted badly, that is not on you, it is on them which doesn’t mean you are now excluded from the state of happiness. Your own happiness depends on how you turn things around, how you want to view the world and what kind of life you decide to live. It’s your choice but I’d suggest to “Choose Happiness”.